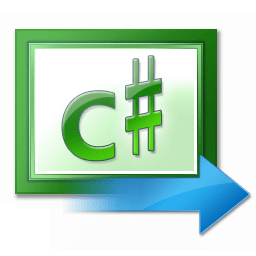 C# is an object-oriented programming language created by Microsoft. Wikipedia describes the language as “simple, modern, general-purpose, object-oriented programming language.” With the language, you can create many types of applications, web sites, desktop applications, mobile applications, web services, and many more. If you know C#, then you can conquer the world. Yes, you read it correctly. You can conquer the world of software development with your knowledge of this programming language. You are only restricted by your imagination. Here are the 3 reasons why I think C# is the number one programing language to conquer the world: mobile development, web applications, and open source initiatives. No one can deny that mobile applications are dominating our time and resources. Recent studies have found that the average user spends more time browsing thru mobile devices compared with desktop browsers. With these demand of mobile applications, businesses are pressured to keep up with this trend. Now they need to provide apps for the two major mobile ecosystems, Apple and Google. There are many choices to develop mobile applications, native, HTML, and C# with Xamarin. Nat Friedman and Miguel de Icaza created Xamarin to solve the problem of dealing with different code bases. If you want to write native applications for Android, you will have to write it in Java. If you want to write native applications for iOS, you will have to write it in objective-c. With Xamarin, you are able to share code across iOS, Android and Windows platform. With your knowledge of C#, you write code once and Xamarin compiles your code for the intended platform. There are many web sites developed to run under the .Net Framework. These sites still need to be managed and enhanced. Businesses have invested millions of dollars in their ASP.net sites and there is a need to keep these sites working correctly. If you know C# with experience in the ASP.NET web application framework, I assured you that there will be enough jobs for the years to come. So who is using this framework? Some of the companies using ASP.NET are: US Airways, Bing, Msnbc, Kelley Blue Book, 3M and many others. In November 2014, Microsoft announced in New York that many components that are part of the .NET framework are released in github as open source. See Scott Hanselman’s blog for a complete listing of projects and initiatives taken by Microsoft to make ASP.NET 5 cross platform. Along with these changes, Visual Studio Community is now available for students and open source developers. There is also a new .NET Core CLR for Linux, Mac, and Linux. If you want to see the changes, go to the github dotnet page. I believe these changes by Microsoft allows for more innovation. And with innovation, we will see new products and also improvement to the existing .NET framework. I believe C# is an excellent programming language to conquere the world of software development. There are sites developed in the ASP.NET web framework that still need maintenance and enhancement. With the recent rise of mobile development, your C# skills will allow you to write cross-platform apps with Xamarin. The open source movement by Microsoft has taken a major change for C# developers. It will allow you to write cross platform on any OS.